On late fall or winter nights I like to go out and look for the Andromeda nebula. This fuzzy patch of light among the glittering stars gets its name from its appearance and location: nebula is Latin for cloud, and this small cloud-like object appears in the constellation Andromeda. When the winter night is moonless and there is no haze of light pollution from cities, the Andromeda nebula is so prominent that you don't need a telescope to see it. It has been known to skywatchers since the tenth century at least, when the Persian astronomer Al-Sufi included it as a ''little cloud'' in his catalog of the heavens. Andromeda nebula, I am looking past the stars of our own galaxy, and across a great gulf of apparently empty space. To locate the Andromeda nebula, start with the constellation Cassiopeia, which many people know (see figure 2.1). The stars of Cassiopeia form a giant W or M, depending on your perspective. To the east of Cassiopeia — under the W, if you see the stars that way — one can pick out a long, narrow, slightly crooked "V" of stars: Andromeda. The stars along the side of the "V" nearest to Cassiopeia are dimmer than those of the opposite branch. The "V" terminates in the Great Square of Pegasus, another well-known constellation. The trick to finding the nebula is to locate the second pair of stars defining the "V" (down from the open end of the letter) and to look to the right about the same distance away as the separation of stars in the "V." Once your eyes have had time to adjust to the dark, you may find the nebula there. The Andromeda nebula is so far away that to quote its distance in miles — about 12 trillion million — seems a bit silly. Numbers that great are better expressed in terms of the light-year. We're not ordinarily aware of light flitting through space. When we flick on a light switch, the room floods with light almost instantaneously. But light, which is a form of electromagnetic radiation, travels at 186 000 miles per second. It covers 6 trillion miles a year, and that is a useful yardstick for distances in space. So the Andromeda nebula is as far away as light can travel in 2 million years, or 2 million light-years distant. From the northern hemisphere, the Andromeda nebula is the only galaxy most people can see with the unaided eye. Southern hemisphere observers can also see two small irregular galaxies that are companions to our own, the Large and Small Magellanic Clouds. They keep us company a mere 200000 light-years away. Of course, there are many more galaxies in all parts of the sky, visible with telescopes. Their distances are staggering, even expressed in millions of light-years. The Andromeda nebula, an island universe, plays an important role in this book. Our tour of the night sky will help put its distinguishing characteristics in context. Our eyes need the contrast with very dark, moonless nights to appreciate the brilliance of stars. Electric lights surrounding city dwellers effectively blind them to all but the brightest objects in the sky. Indeed, many people in North America have never seen the Milky Way, or mistake it for a plume of smoke when they are out in the country. This is a sad consequence of urban sky glow, upward-shining electric light reflecting off water molecules or smog. Sky glow washes out one's view of the fainter stars and the Milky Way, just as room lights wash out the image from a slide projector. Stars bright enough to see from light-polluted cities include the red star Betelgeuse and the bluish star Rigel in the familiar constellation of Orion. (''Beetlejuice'' and ''RYE-gel'' are acceptable pronounciations in English. 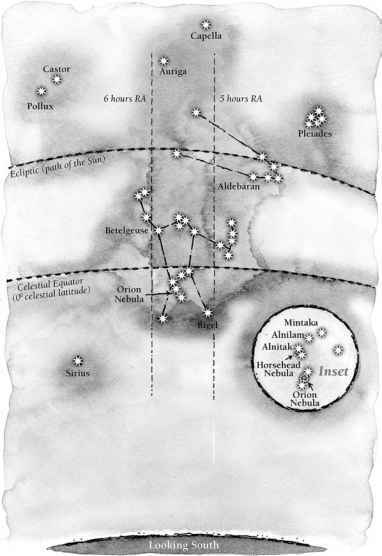 See figure 2.2 for a chart of the stars in Orion.) The name Rigel appropriately comes from the Arabic for ''foot,'' as it appears in the foot of Orion. Betelgeuse comes from the Arabic bayt-al-jauzaa, which translates to ''house (or room) of the twins.'' The fact that this name makes no reference to the giant Orion may mean that this star was once seen as pertaining to another constellation, or that there has been some shifting around of star names in translation. Other stars visible despite city light pollution include Aldebaran (al-DEB-a-run), the brightest star in the horns of Taurus the Bull, and Canopus (ca-NO-pus), which dominates the spring sky for urban observers in the southern hemisphere. Many people are surprised to learn that Polaris, the famous North Star that one can find using two stars of the Big Dipper, is not particularly bright and might be washed out by city lights. Its importance derives from its position marking north, and not from its brightness. Away from city lights, the unaided eye can see thousands of stars — about 3000 on any given night. The richness of the sky, when viewed from the desert, the rural plains, or the sea, is as breathtaking to astronomers as to anyone else. After about 20 minutes, the time it takes the eye to adapt to low light levels, details emerge: the sky is brighter in some directions that in others, stars come in different colors, and one might see little fuzzy patches of light that don't resemble stars. magnitude are not visible to the unaided eye. Hipparchus compiled a catalog of some 850 bright stars, giving data on their positions and estimates of their magnitudes. Because it is based on how the human eye perceives brightness, Hipparchus's classification is awkward to use in an era of photo-electric devices. The difference between two magnitudes is an inconvenient factor of 2.512 in brightness. Awkward, too, is the fact that the Sun and many of the planets are much brighter than the average first magnitude star, and so require negative numbers to be represented on the same scale. The magnitude system we inherited from Hipparchus, and revised in modern times, runs from —27 for the Sun, through 0, and beyond the sixth magnitude for the faint stars. Binoculars with lenses 40 to 50 mm wide, or a telescope with equivalent opening diameter (about 2.4 inches) will show objects at eighth or ninth magnitude, depending on the level of urban sky glow. Research telescopes on Earth see galaxies fainter than 23rd magnitude, and the Hubble Space Telescope's Wide Field and Planetary Camera 2, in orbit above the Earth's atmosphere, can discern objects as faint as 28th magnitude. Many astronomers quote brightnesses using the modern version of Hipparchus's system, and it is useful to recognize a few reference points of the magnitude scale. Sirius, the brightest star in the sky, has a magnitude of —1.5. Vega, a brilliant star that rises high overhead in the summer for viewers in the northern hemisphere, has a magnitude almost exactly 0. The brightest stars in the Big Dipper and in the constellation Andromeda are all about the second or third magnitude. To see stars just at the naked-eye limit of sixth magnitude, find the bright star Vega with a star chart or planetarium software and look northeast. Keen eyes will distinguish two faint objects at about fifth magnitude; through binoculars, each of those turns out to be a double star. This is the famous ''double double'' star in the constellation Lyra. The reason many of the brighter stars have Arabic names such as Betelgeuse and Rigel, even in European star lore, can be traced to the fate of Hipparchus's catalog. Three historical catalogs, those of Hipparchus, Ptolemy, and Al-Sufi, form links in the chain of inheritance. Ptolemy of Alexandria, the greatest astronomer of late antiquity, flourished around the year 150, some 300 years after Hipparchus. Ptolemy drew heavily on Hipparchus's work in creating his own encyclopedia of the stars, which he called the Mathematical Compilation, but which is more commonly referred to as the Almagest. About 800 years later, Al-Sufi translated Ptolemy's great work and synthesized Ptolemy's star catalog with Arabic names and traditions in his Book of the Fixed Stars. Medieval Europeans read the works of Al-Sufi and other Arabic astronomers in translations from the Arabic to Latin. They simply Latinized the Arabic star names. Thus the star Acrab in Scorpius comes from the Arabic Al-'Aqrab for Scorpion, and Alnitak in Orion comes from An-Nitaq, for belt. Some patterns of stars are so distinctive that people from many parts of the world and many historical eras have independently named them as a group or constellation. The pattern that many North Americans see as a long-handled ladle and call the Big Dipper — technically an asterism, or collection of stars, within the constellation Ursa Major—is called the drinking-gourd by some African-Americans, and the plow or plough in England. The seven bright stars of the constellation are known as the Sapt Rishi, or seven wise men, in India. The Basques spin a complicated tale around the constellation: the four stars of the dipper cup are two stolen oxen and two thieves, and those of the handle include the owner of the oxen, his servant, his housemaid, and his dog, all in pursuit of the thieves. In some cases, the patterns remind viewers of familiar sights. Stars grouped like a backward question mark in Leo do look a bit like a lion's mane, and many cultures have seen a warrior or hunter in Orion. On the other hand, some constellations don't bear any resemblance to the figure or object they are named for. Ancient people chose to honor a god or mythical figure with a piece of celestial territory, and the name stuck. Many of our modern Western constellations were first labeled by the people of Mesopotamia in the third millenium BCE. Capricornus, Sagittarius, Scorpius, and Leo are among constellations depicted on stone tablets many thousands of years old. But it is to the ancient Greeks that we owe some of our favorite stories about the constellations. Greek astronomers of antiquity handed down one legend that connects at least six of the constellations in the northern sky: Cassiopeia, Andromeda, Cepheus, Cetus, Perseus, and Pegasus. Cassiopeia was a queen of Ethiopia, married to king Cepheus. According to this legend, Cassiopeia boasted that she was more beautiful than the Nereid sea-nymphs. The gods, displeased by this vanity, chained Cassiopeia's daughter, the princess Andromeda, to a sea-side cliff, where she would surely be devoured by the monstrous Cetus. The hero Perseus came to her rescue, carrying the severed head of Medusa. Medusa's blood dripping into the sea gave rise to the winged steed Pegasus. While many constellations are associated with legends thousands of years old, they have all been redefined in the modern age. For centuries it was up to the creators of star-atlases to set the exact boundaries between the constellations and to name star patterns too far south for the Greeks or Mesopotamians to have seen. Some parts of the sky don't have bright stars or a distinct pattern, and these were devoid of constellations. The International Astronomical Union brought some order to the situation in 1930. This non-governmental organization for promoting the study of astronomy established precise boundaries for 88 constellations, covering the entire celestial sphere so that every star or object is within a constellation. This is the same international organization, headquartered in Brussels, that assigns names for newly discovered astronomical objects such as asteroids. Whether or not we mentally ''connect the dots'' in a constellation, the apparent grouping of stars gives us the impression that all the stars in a single constellation are at about the same distance from us. In some cases, it is true: the stars of the Pleiades — the ''seven sisters'' asterism — are in fact close together in space. More often the stars of a constellation lie at a variety of distances. In the Big Dipper asterism, Alkaid, the last star of the handle away from the dipper cup, lies about twice as far away as Dubhe, the uppermost of the two stars in the outer edge of the cup. In the mind's eye, we see the stars projected on a two-dimensional plane. The band of light we call the Milky Way arches across the sky like a river of light, narrow in some places, wide and irregular in others. Its hazy but unmistakable appearance has led observers around the world to create legends around it. As we noted in chapter 1, the Greek story says the Milky Way flowed from the goddess Hera's milk. The Chinese think of it as the celestial counterpart to the great Yellow River. Siberians call it the seam in the tent of the sky. In some East African legends, it is the smoke of ancient campfires. To some Australian aborigines, the Milky Way is a river, while the dark rifts in and around it are riverside lagoons. A number of tales from western Asia and south-central Europe portray the Milky Way as a path of scattered straw. Northern hemisphere dwellers see the Milky Way in summer, fall, and winter. A late summer or early fall view takes in the brightest and richest span of this celestial river. At that time of year, the Milky Way stretches from the constellations Cassiopeia and Cepheus in the north, across the eastern half of the sky and through the set of stars we know as the summer triangle, and plunges toward the horizon through the constellations Sagittarius and Scorpius. Between the summer triangle and Sagittarius, dark clouds obscure the central swath of the Milky Way, making it appear to be split into two streams. Near Sagittarius and Scorpius, the Milky Way is particularly dense and bright, for this is the direction toward the center of the galaxy. Dark clouds of dust are prominent in this direction too, giving this area of the Milky Way a heavily mottled appearance. Southern hemisphere observers have a better view of the Milky Way overall, and see a particularly dazzling show in the southern hemisphere winter. In July, when Scorpius is nearly overhead, the Milky Way stretches from southwest to northeast. The irregular dark clouds cleaving the Milky Way into two uneven streams are so prominent that some southern hemisphere peoples have named them ''black constellations.'' For example, a roundish dark spot near the constellation of the southern cross looks like a partridge-type bird to Quechua peoples in the Peruvian highlands. Southern hemisphere observers are also privileged to see the Large and Small Magellanic Clouds, high in the sky in November and December. Both are small, irregular galaxies, close to our own galaxy. They form faint but extended patches, a bit like tatters from the main ribbon of the Milky Way. The Large Magellanic Cloud is as wide as Orion's waist. For thousands of years at least, observers of the night sky have contemplated it as a great solid dome, or the convex surface of a spherical shell centered on the Earth. The stars, in this conceit, stud the inner lining of the ''celestial sphere.'' If you lie on your back and gaze upward at the stars in some quiet, dark location, you might even feel that you can sense the slow rotation of the sphere, carrying the stars across your field of view from east to west, and slinging them underneath you on the other side of the Earth. The apparent daily movement of the sky is, of course, due to the rotation of the Earth, not the sky, and we know that the stars are not all at the same distance, as they would be if they were fixed to the inner surface of a shell. However, for many practical purposes, the model of the stationary Earth and the celestial sphere rotating around it works well. Navigators, for example, do not need to know the true distances of the stars, but only where they are located on the two-dimensional surface of the sphere. The axis around which the imaginary celestial sphere rotates is simply an extension of the Earth's real axis of rotation. The Earth's axis, projected into space from the north pole, strikes the celestial sphere at the north celestial pole, and similarly strikes the south celestial sphere when extended from the Earth's south pole. Thus anyone who is familiar with using two stars of the Big Dipper to find the ''north star'' Polaris already knows how to find the north celestial pole. The fact that a relatively bright star marks the north celestial pole is due to happy circumstance. People who live in the southern hemisphere have no equivalent south pole star, although they can use the constellation Crux, the Southern Cross, to find the south pole. The four primary stars of the Southern Cross are visible from sites south of 27° north latitude, and are up all night for viewers as far south as Australia, South Africa, or Argentina. The constellation is so cherished that five countries—Australia, New Zealand, Western Samoa, Brazil, and New Guinea—feature it on their national flags. A line through the long arm of the cross, extended about 4^ times the length of the cross, passes very close to the south celestial pole. The constellations are a practical way for stargazers to orient themselves, and are convenient for locating conspicuous objects such as planets, stars, and star clusters. 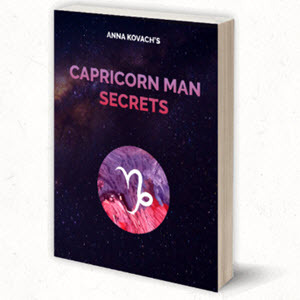 An almanac might state that the planet Mars will be ''in'' the constellation Capricornus during the month of November, for example. But for greater precision in specifying locations, astronomers use celestial latitude and longitude, called, respectively, declination and right ascension. Lines of declination and right ascension circle the celestial sphere. ''Declination'' comes from the Latin for ''bending away'' or inclination along a line from the equator to the pole, while the term ''right ascension'' refers to the system of lines at right angles to the plane of the equator, ascending or increasing to the east around the celestial sphere. Lines of declination correspond directly to latitude on Earth. The celestial equator has declination 0°, just as the equator is at latitude 0°. The celestial north pole is at declination +90°, and the south pole at —90°. Observers in Boulder, Colorado, at latitude +40°, will see the summer constellation Cygnus (declination about +40°) pass directly overhead. A degree of declination is divided into 60 arcminutes or minutes of arc, and each arcminute into 60 arcseconds. Lines of longitude, reaching from pole to pole, are called meridians. By international agreement in 1884, the origin or zero-point for longitude on Earth is the meridian that passes through an historic telescope at the Royal Greenwich Observatory, England. In fact, the so-called prime meridian was originally defined very precisely by the cross-hairs in the eyepiece of this telescope, which was built by Astronomer Royal Sir George Airy in 1850. From the prime meridian it is 360° (or twice 180°, east and west) around the globe. Using the Greenwich meridian as the zero-point for right ascension would be impractical, because a star or other fixed point on the celestial sphere would have a constantly changing celestial longitude during the course of a day. Instead, the origin of right ascension is fixed in the sky, at a point in the constellation Pisces. From there, it is 360° around the celestial sphere, or 24 hours of right ascension, with each hour divided into minutes and seconds. The familiar winter constellation of Orion can serve as a guide to the celestial sphere and the declination and right ascension system (see figure 2.2). The celestial equator (0° declination) runs through Orion's belt. The three belt stars form a distinctive group because they appear about equally bright and regularly spaced. From east to west they are Alnitak, Alnilam, and Min-taka. One can trace the celestial equator by sweeping one's arm from due east on the horizon, through Orion's belt, and down to the western horizon. For stargazers in Ecuador, Kenya, or Singapore, near Earth's equator, this arc traced out in the sky will pass overhead. For all other viewers, the arc will tilt toward the south or north horizon, depending on whether the viewer is in the northern or southern latitudes. The bright red star Betelgeuse in Orion's shoulder and the bright blue-white star Rigel in Orion's foot are a little less than one hour of right ascension apart. The meridian running north-south near Betelgeuse is that of six hours right ascension, and that running between Rigel and Orion's bow corresponds to five hours. undoubtedly the best known. The Mesopotamians of antiquity used these to mark the passage of the Sun and planets around the celestial sphere. Figure 2.3 illustrates how the Sun appears to "travel" through constellations on the celestial sphere. The figure shows the position of the Earth in its orbit around the Sun at two times of the year, January and July. In January, the constellation Gemini is overhead at night, when the observer is on the shaded side of the Earth. The constellation Sagittarius is in the line of sight to the Sun, behind the Sun on the celestial sphere. The stars of Sagittarius would not be visible, hidden in the glare of daylight. However, ancient star-gazers kept track of the order of the constellations and the seasonal changes in the sky, and knew which constellation rose with the Sun, even if it was not visible. Thus careful observers would have known which constellation the Sun was "in" during the daytime. As the Earth orbits the Sun and the seasons progress, the line of sight to the Sun changes, and the Sun appears against a different backdrop of constellations. In July, Scorpius and Sagittarius are up at night, while the Sun has reached Gemini. 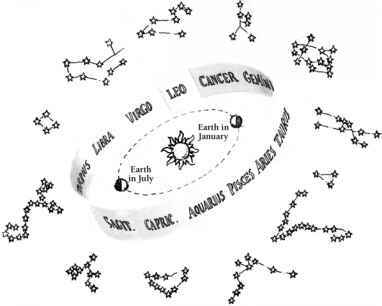 The Sun completes one turn through each of the constellations of the zodiac in one year. The line it follows is called the ecliptic. The only difference between the system the Mesopotamians envisaged and the current one is that we have delineated the constellation boundaries somewhat differently, and the Sun's path or ecliptic now takes it through a corner of the constellation Cetus, between Pisces and Aries, and through Ophiucus, between Scorpius and Sagittarius. 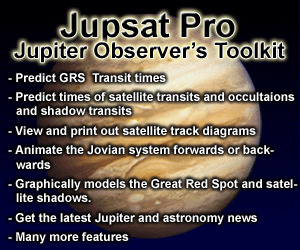 A similar diagram could be drawn to show the changing line of sight from the Earth to any of the planets. Because of the relative motion between the Earth and the planets in their own orbits, and because the planets orbit more slowly with increasing distance from the Sun, the planets do not appear to move smoothly through the constellations, nor do they take one year to complete a turn. Mars, for example, is in the constellation Aquarius in January 2002, in Pisces in February, in Aries in March and April, in Taurus in May, in Gemini in June and July, in Cancer in August, in Leo in September and October, and in Virgo in November and December. It does not return to its starting point in Aquarius until July 2003. Neptune, moving very slowly in its distant orbit, appears in the constellation Capricornus from 1999 to 2010. 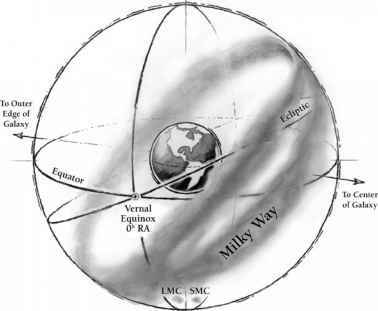 Figure 2.4 shows how the declination and right ascension coordinate system, ecliptic, and Milky Way relate on the celestial sphere. The celestial poles lie above the corresponding terrestrial poles, and the celestial equator mirrors that circling the Earth. 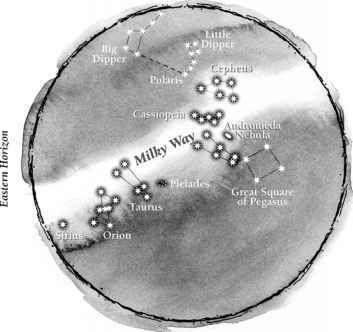 The Milky Way girdles the celestial sphere at a steep angle to the celestial equator. The figure shows the Milky Way denser and broader in the direction of the center of the galaxy (in the constellation Sagittarius, not shown on this figure), and shows the rift caused by obscuring clouds of dust, which make the Milky Way appear to divide into two streams. The Large and Small Magellanic Clouds are shown near the south celestial pole. ascension, analogous to the Greenwich meridian on Earth, is at the vernal equinox point of intersection. The night sky abounds with objects besides individual stars and planets: comets, making their occasional but much-noticed appearances; various kinds of nebulae or cloudy patches of light; and stars in clusters of two or three to hundreds of thousands. These objects aroused the curiosity of early stargazers and provided important clues to modern astronomers seeking to understand the structure of the Milky Way. The Pleiades or ''seven sisters'' group of stars east of Orion is one of the best known star clusters (see figure 2.5). The naked eye discerns six members of the cluster. It is something of a mystery why legends from different eras and widely separated parts of the world, from ancient Mesopotamia to modern indigenous Australia, refer to seven stars, or six stars and one ''missing'' member. A telescopic view reveals several hundred stars, along with a blue-tinged veil of dust trailing through the cluster. Ptolemy mentioned in his Almagest turned out, when seen with optical aids, to be open clusters. One he described as ''following the sting of Scorpius'' — a brilliant open cluster, seen against the backdrop of the Milky Way. It is sometimes known as Ptolemy's cluster, but the seventeenth-century comet-hunter Charles Messier gave it the catalog number by which it is best known today, M7. Ptolemy also described the so-called Beehive cluster, M44, in the constellation Cancer. Galileo was the first to turn a telescope to this nebulous object and note the presence of dozens of bright stars. Modern telescopes have revealed at least 200. The Beehive cluster is easily seen with binoculars. More spectacular even than these jewels are the globular clusters, consisting of tens of thousands or even millions of stars. This number is far less than the billions of stars composing our galaxy, but greater than the number of stars in a typical galactic cluster. The stars in a globular cluster gravitate strongly toward the center of the cluster, forming a ball that is usually noticeably brighter in the middle. The compact structure of globular clusters contrasts with the loose structure of open or galactic clusters. Globular clusters (see figure 2.6) do not concentrate in the plane of the galaxy, as galactic clusters do. They can be found in all directions in the sky, and lie at distances of 10000 to 60 000 or more light-years. 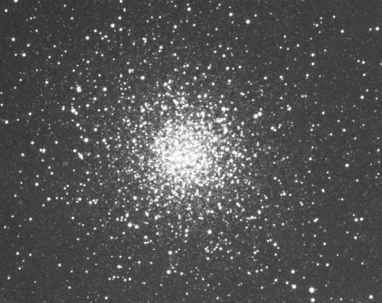 In the northern hemisphere, two of the better known globular clusters that can be seen with the naked eye under good conditions, and that are particularly rewarding with binoculars and small telescopes, are M4 and M13. M4 sits about a degree west of the red star Antares in Scor-pius, while M13, also known as ''the great globular in Hercules,'' lies about halfway between the bright stars Arcturus and Vega. But these globular clusters, impressive as they are, offer no match to the two biggest globular clusters visible from the southern hemisphere, Omega Centauri (in the constellation Centaurus) and 47 Tucanae, in the constellation Tucana, near the Small Magellanic Cloud. Omega Centauri has a magnitude of 3.8, and so does not even require particularly good conditions to be seen; 47 Tucanae is very prominent, but lies so far south that astronomers did not observe it telescopically until the late 1700s. stars. 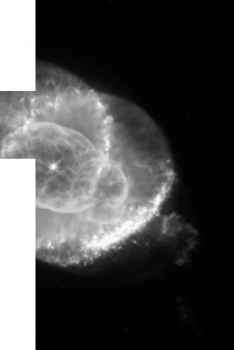 The ''Great Nebula'' in Orion's sword (see figure 2.7) is no doubt the best known. South of the belt star Alnitak, in a line angled away from Orion's body, are three stars forming Orion's sword or dagger. The central ''star'' is the Great Nebula, bright but hazy. Binoculars or a small telescope reveal a cluster of stars embedded in the nebula. (If you don't have binoculars or a telescope, try looking through your hand cupped like a tube. Some say this technique does improve the view a bit, although you won't see the stars embedded in the nebula this way.) This nebula is of the emission or star-forming kind. Hundreds of stars are in various stages of condensing out of a thick, turbulent cloud of hydrogen and helium gas. The Orion nebula is really a stellar nursery. Reflection nebulae also consist of clouds of gas and dust, but they shine by reflected light of the stars nearby, rather than glowing from being heated up by those stars. The blue veil surrounding the Pleiades, visible through a moderate-sized telescope, is one such reflection nebula. 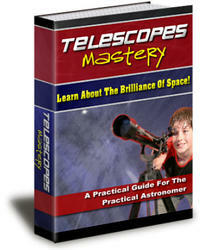 with small telescopes. Ignorant of their true nature, Herschel named them planetary nebulae because they looked superficially like the disks of distant planets. Through telescopes, planetary nebulae reveal a diversity of shapes and colors. The Dumbbell Nebula in the constellation Vulpecula and the Ring Nebula in Lyra are accessible to viewers with small or moderate telescopes. Dark nebulae are clouds of interstellar dust and gas so thick that no stars can be seen through them. 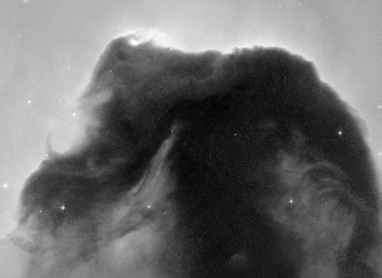 Northern hemisphere observers with access to a telescope can see a fine example in the Horsehead Nebula in Orion—a dark nebula superimposed on the glow of an emission nebula (see figure 2.9). Southern hemisphere observers can easily see the Coal Sack, a dark nebula that looks like a hole in the Milky Way. It abuts two of the stars of the Southern Cross. These various types of nebulae and star clusters recur throughout our story of the discovery of the Milky Way galaxy, as clues and signposts to the seven astronomers profiled.